Wearing shoes for eight hours or more each day can really be quite uncomfortable. Our feet, like most parts of our body need to be able to breathe and have some sort of respite from the constriction felt in wearing regular closed shoes. This is especially so for women who have to wear high-heeled shoes at work. 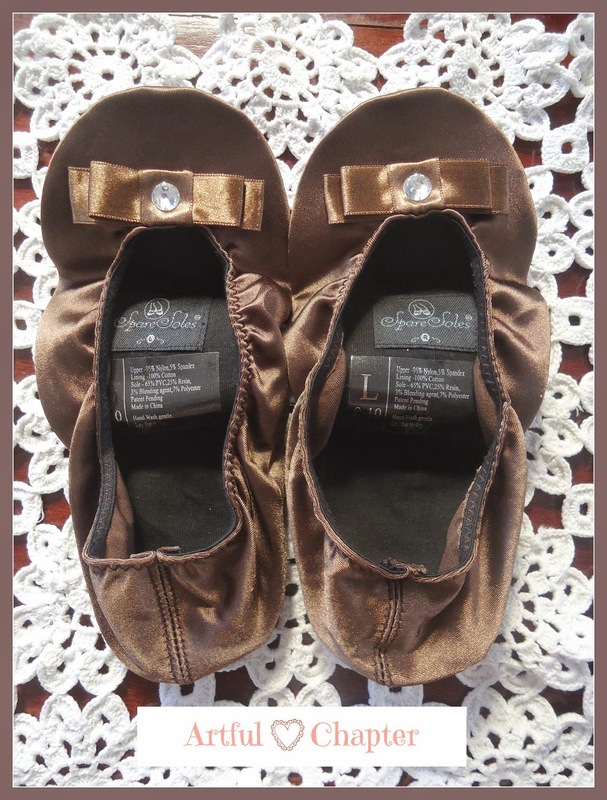 Fashionable foldable shoes can offer the needed rest for the feet without sacrificing style. Foldable shoes, also called fold-up shoes or portable shoes are essentially flats in foldable version. They are very easy to carry around as they usually fit in small pouches. They can be a woman's best friend while partying, working, or traveling. With the wide range of choices available today, it is so easy to find one that best suits your needs. Of course, there are also men's versions but the available styles are not quite as extensive as that of women's. Obviously, not all foldable shoes are created equal. Generally, the easier they are to carry around, the less comfortable and sturdy they are. Rubber soles can certainly add comfort and protection but they tend to be bulkier than fabric soles. Leather is certainly heavier than satin for example when used as the main shoe material. The choice would really depend on where and how the shoes will be used. In spite of its fragile look, most foldable shoes are a lot sturdier than they are given credit for. However, they do not last as long as regular shoes and will not be able to provide needed support for all-day use. The waterproof sole makes it usable for the outdoors but it is best to remember that they are intended to be a back-up solution only for tired and sore feet. Foldable shoes are washable and can be used over and over again. Working in an office requires me to dress up professionally and that includes wearing equally professional-looking shoes which usually means wearing heels. Since most of my working hours involve a lot of sitting, I can afford to slip on to a pair of foldable shoes and change back to regular shoes when needed. I recently bought SpareSoles foldable shoes for the purpose. I admit that my first choice was based on looks as I absolutely love the brown-colored satin material. Besides, I was initially planning to just use the shoes indoors. I'd probably buy another one which I will use outdoors and I'm considering those with rubber soles next time. For now, I am just happy to be comfortable and yet still in style. This is a terrific article and I would like to have more information if you have any. I am fascinated with this topic and your post has been one of the best I have read so far.